An Ottawa-area Liberal candidate has landed in hot water over remarks about the differences between men and women which appeared earlier this year on his Facebook page. 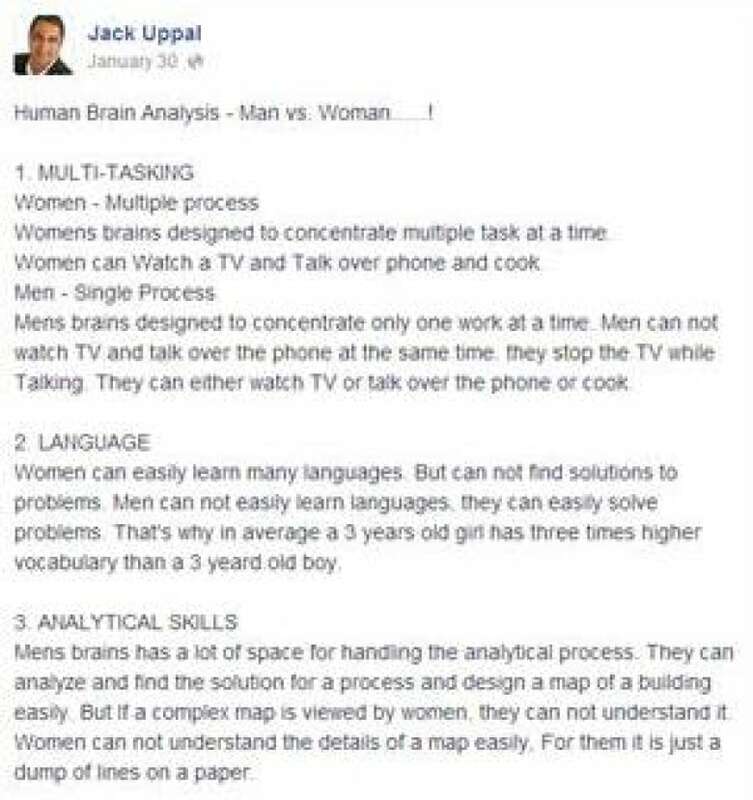 Jack Uppal, the Liberal candidate in the Tory stronghold Nepean-Carleton, on Jan. 30 posted a 500-word “analysis” about how men and women differ on points including language skills, problem solving and driving habits. “If a woman has a lot of problems, her brain can not [sic] classify the problems,” it read. It also said women cannot easily read maps or recognize certain objects while driving, but are better than men at detecting lies. The remarks drew a rebuke from Progressive Conservative Laurie Scott, who is running in the Haliburton riding. Uppal apologized “unreservedly” while suggesting the message was not meant to be taken literally. "I received and re-shared a Facebook posting that, if taken literally, is without question offensive to both women and men,” he said in a statement. “It was certainly not my intent that the post be taken literally or to offend anyone. I apologize unreservedly." 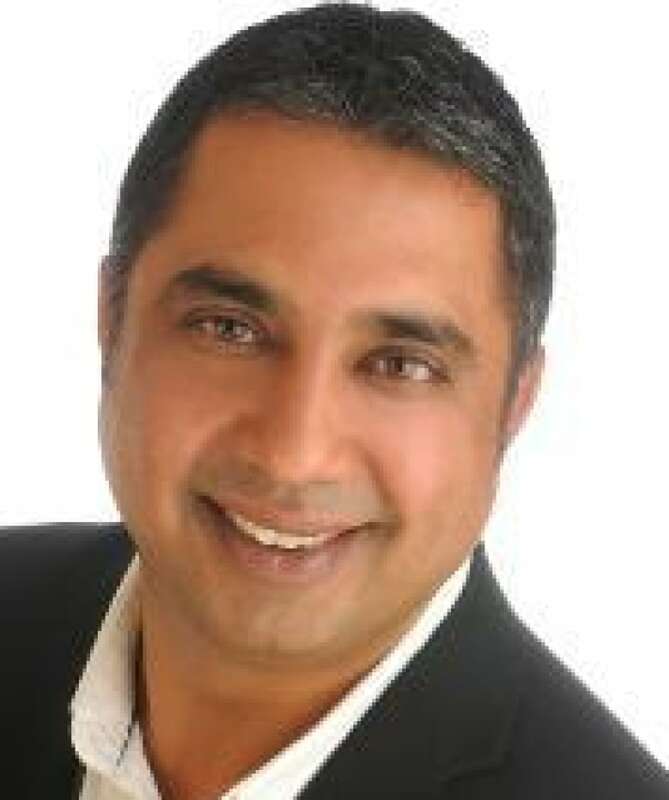 As of Sunday morning, an Ontario Liberal Party spokesman said Uppal was still running in the riding. A partial screengrab of remarks posted on Facebook on Jan. 30 by Jack Uppal.